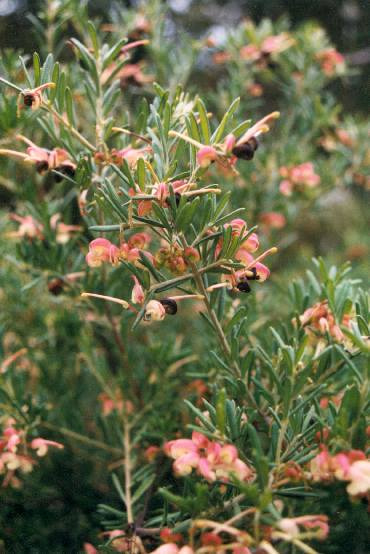 Outstanding fast growing grey grevillea with dark pink and cream flowers most of the year. Prefers well drained soils in full sun or partial shade. Drought and frost tolerant. Useful low screen or hedge. 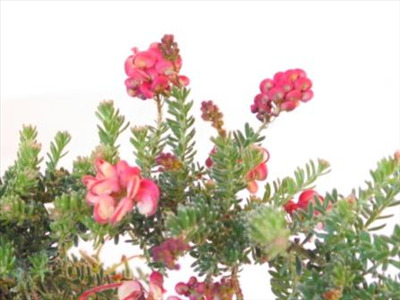 Excellent coastal plant. Great bird attractor. Various forms available. 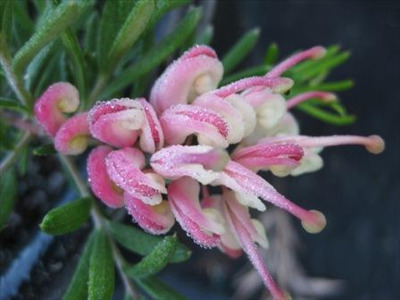 Grevillea lanigera low form makes a great groundcover 18"x 6' and G. lanigera 'Coastal Gem' has smaller more compact leaves and grows approx 1'x6', all forms are easy and dependable plants in the garden.